News CitySprint Sponsor Gordano Rugby FC. CitySprint Sponsor Gordano Rugby FC. Giving back to the community is something that we passionately believe in at CitySprint. With that being said, we are delighted to announce our sponsorship of the Gordano Rugby FC under 10's team earlier on in the year. Last quarter CitySprint sponsored the Gordano Rugby FC under 10’s team. The squad consists of a whopping 57 children, 55 of which signed up to tour Woolacoombe in April 2018. 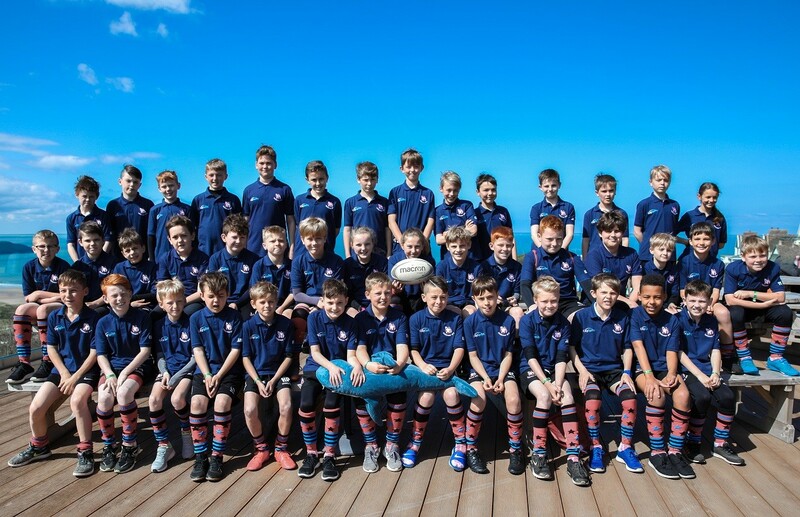 After a Saturday spent playing rugby on the beach, the tour culminated in the Devon Rugby Rocks Festival in Ilfracombe where the children showed off their skills and entertained the crowds. The tour was a huge success for all of the players and their families. At Gordano RFC, the coaches work hard to ensure that the children are at the heart of everything they do, encouraging fun on the pitch, through equal opportunity and realistic expectations of the children, and it is primarily this that has resulted in the retention of so many players, and the large squad size in the current U10’s. As is customary on tours, the coaches were eager to provide the children with some tour related clothing and CitySprint were able to issue a donation making it possible to provide all of the children with a smart new polo shirt bearing the names of every single player – something that we hope that they will enjoy and cherish long after the tour has finished. Charity is a huge part of the CitySprint belief system and we are delighted to be able to support teams such as Gordano RFC in a bid to encourage team work, courage and good sportsmanship amongst the young minds of the future.